Expedia has some excellent Punta Cana holiday packages. Bundling your bookings is a surefire way to save time and cash — and get your adventure off on the right foot. Secure a package deal on Expedia and save up to $200*. With more than 400 partner airlines and 321 000 worldwide properties, our exhaustive database can get you to where you want to be. We've got all the hot sightseeing tips for your next trip to Punta Cana. Grab your travel organizer and get ready to start topping up that itinerary. Travelling can sometimes mean getting into the same clothes each day. So, if you're thinking of spoiling yourself with a smart new outfit, head on over to Downtown Punta Cana. Still got time on your hands? Whether you're a pinball expert or a complete beginner, Bavaro Adventure Park has an awesome selection of interactive games and activities to suit everyone. Holidaying is always so much more than just visiting a new place. It's all about the things you can do while you're there. 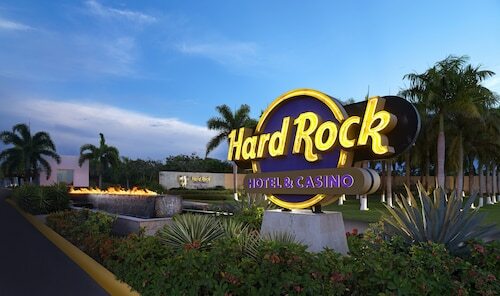 If you want to view a comprehensive list of activities, head to the Punta Cana things to do page. Securing comfortable places to stay is half the battle won when it comes to planning luxury getaways or cheap holidays. 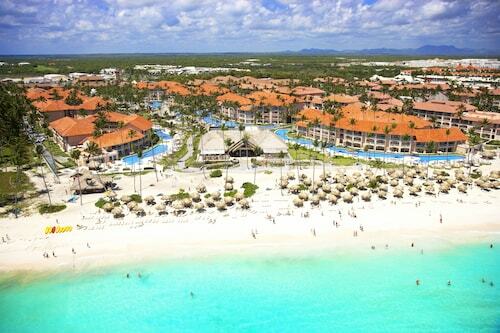 Fortunately, Punta Cana has approximately 27 accommodations, so you'll have plenty of choices. 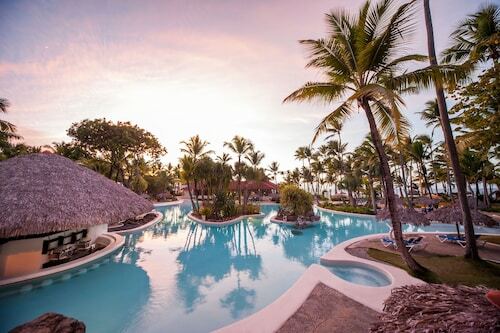 At the Tortuga Bay Hotel (Higuey) and The Reserve At Paradisus Palma Real Resort All Inclusive (Playa Bavaro) you'll find snuggly beds, terrific amenities and good reviews! There's nothing as satisfying as arriving at Punta Cana International Airport (PUJ) after being stuck in a cramped cabin for hours. After you've claimed your luggage and stretched out your limbs, you'll be around 3 miles (5 km) from Punta Cana's downtown area. Witness raw coastal beauty, swim at untouched beaches and snorkel around starfish-speckled reefs at this Dominican island reserve. A replica 16th-century Mediterranean village perched on a rocky outcrop above the River Chavón. Rest and relax on this Blue Flag-awarded beach, which is known for its sweeping stretch of fine white sand. Swim with stringrays and dolphins or just delight in the simple pleasures of sun, sea and sand on this well-kept stretch of beach. Enjoy a leisurely day at this amenity-packed beach, where shops, restaurants, cafés, beachside bars and watersports facilities are within easy reach. Mon., 19 Aug. - Wed., 4 Sep. Tue., 17 Dec. - Tue., 24 Dec. Looking for Flights, Hotels, Car Hire and Holiday Rentals in Punta Cana?